Got to try out some Garnier Fructis products thanks to Influenster! I’m all for my hair. From treatments to masks, different conditioners for each season, and even massage oil therapy, my hair is pampered (even more than me!). But irons are a love-hate relationship because, on the one hand, it damages your hair but on the other hand, your hair looks better than Fabio’s after straightening it into perfection. So it’s always a good idea to use heat protectant hair products. This keeps ends from splitting, fraying, and frizzing. Just note, every flat iron is different! I use an Iron: AsaVea Hair Straightener Brush 3.0 to straighten my hair. Check out my Tutorial using Garnier Fructis Style Sleek & Shine Flat Iron Perfector Straightening Mist 24 Hr Finish & Garnier Fructis Style Brilliantine Shine Glossing Spray! Social Media And How To Grow Your Influence! So you want to be the very best. You want to be influential and have tons of fans, right? Spamming people to follow you or posting links to communities and private messages will get people’s attention, but it won’t get people to press the follow, subscription, or Like button to keep updated with what’s going on. So how can you make this whole ‘become a influencer’ business work? Who you are is going to be a critical aspect of your brand. Sure, what you do is important, but that follows only after if people can connect with you. So let’s say your brand is a League of Legends comedian, you want to ensure your brand expresses that. So let’s break up the basics shall we? The first thing you will need to do is take a good profile photo and keep that photo consistent throughout all social media. After that start breaking down what your profiles will be about. Write a bio of who you are and what you do. Without an image or bio, there is no way anyone can relate to you. Next, figure out what your going to be talking about. What are your tastes? What do you like? What are your hobbies? Audiences connect with brands that they can connect with, like if you had a horrible experience with American Airlines, so has billions of others! You can even spin it off in your style but adding comical humor and imagery. What you share on social media will help viewers identify who you are. Compile topics you wish to share and start sharing them. If you create your own content, you should incorporate sharing them 30% of the time. Why? Because you will get more attention if you begin to retweet and promote other people’s work more than your own. Each social media platform works differently so focusing on just one is not the smart thing to do. You need to utilize all platforms and organically integrate them into everything you do. Let’s divide them up shall we? If you never used it before, it’s fine. You can start now! Whats so special about Tumblr? It can act like a ‘home base’ for everything that you do. Most likely you’ll need some sort of home base, blog, or website to systematically display everything you do. Having a website is great and all, but if you hoping for something minimalistic, i suggest this platform highly. Tumblr allows you to post all your video, articles, photos, and thoughts quick and easy. With their millions of viewers, tagging your pieces spreads worldwide! Having built 4 websites(and counting) over the last 4 years, I wish i knew more about Tumblr way before I invested all my time and effort into a website. There is a lot that goes into a website from design, hosting, domain purchase, and maintenance. There are full time jobs dedicated to website development and maintenance so if you really want a website, be prepared for the workload! If you never used Pinterest before, it is literally like a bulletin board of everything on the internet. You can find memes, home decor, fashion, DIY ideas, art and many other things. Sometimes it gets way too cluttered, which is why having your category lists are perfect for managing different things you and your audience may like to share! I have a list for just video game home decor, video game pets, and memes. Why? Because my particular audience is more likely to respond to them on other social media outlets because of my brand revolving around video games. So if I find a cute Legend of Zelda dog costume, I can easily push it to Twitter/Facebook/Tumblr to let everyone know! In addition, viewers may even go to my list to see other stuff I categorized and subscribe! You can even search during down time and add items to your list whenever you can. When you run out of things to post on your social media, go to your lists to fill the gaps. Most will wonder what the point of posting pictures on Instagram? Well the whole point of being in influencer is to have the capacity to be compelling. In this day and age, images and video are what marketing companies, teams, and businesses are using to capture audiences. Though before you go take 100 selfies, it is important to note that people “Like” things that give more of a positive feeling. Not to say your beautiful selfies aren’t positive enough (*wink), but generating positive feeling is a key step in garnering initial likes. Images that stir a mix emotional reaction are more likely to be shared or Liked. So cute puppies trying to swim have a increase probability to gain attention, but you shouldn’t be discouraged from posting a cute outfit either. It isn’t all about the ‘Likes’ either. Followers need to know your active everyday. Posting a minimum of two images/videos a day is recommended. Also, to get people to follow you explore base on hashtags and begin liking other accounts images that you genuinely associate with. More times than not, the same account will check out your account and follow. Facebook can also be used as an alternative to Tumblr, however, the interactivity of Facebook pages feels more like a community forum than a one way information feeder of your content. 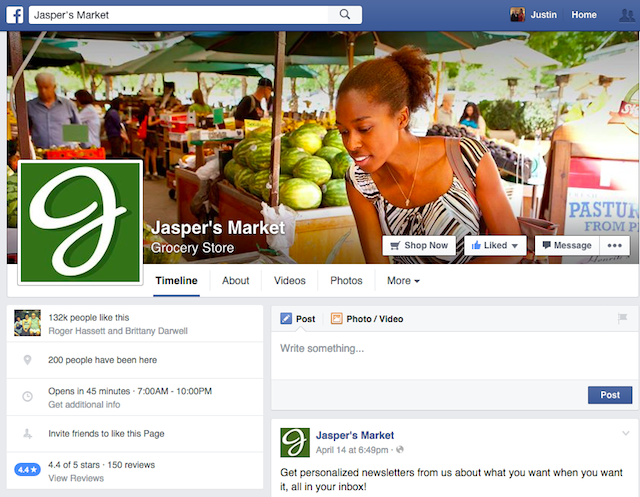 Most businesses use Facebook to keep their audiences informed of latest news, updates, products, and events. As a brand, it’s a great place to promote your content but also gain valuable data on what your audience feels about you, topics, news, and interests. By doing so, you become the influencer in your own community and this places you at the hem of your content and brand. With recent changes to Facebook, you can hold polls, as photo albums, giveaways, play games, and even market your brand without any issue. Facebook ads are invaluable tools to promote events, brands, products, and businesses! You may think you yourself “I would never pay for an ad”, but let’s lay some ground. Paying $5 for an ad that will show your brand to pinpointed targeted markets is in investment that does not hurt you at all. Yes, it’s $5 but compare it to the 2,000 people you would never have been able to reach otherwise now following you via Facebook! I am fairly new to Periscope, but have already been hearing how amazing the app is. 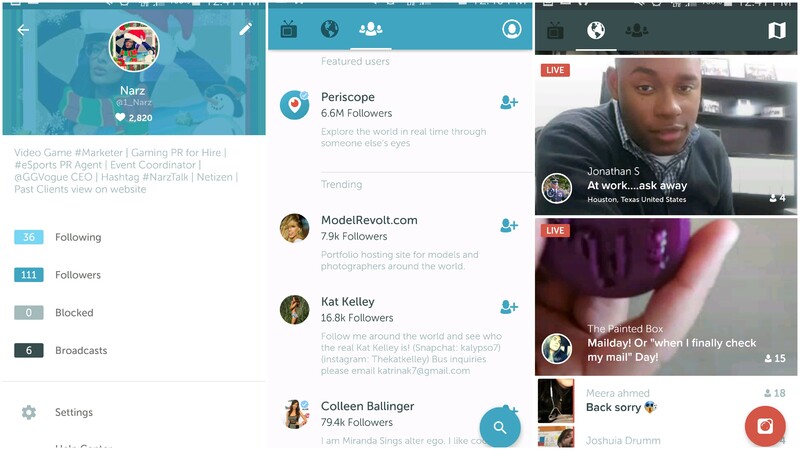 Compared to it’s older alternative, Periscope is a live streaming program that generates ranking via hearts. 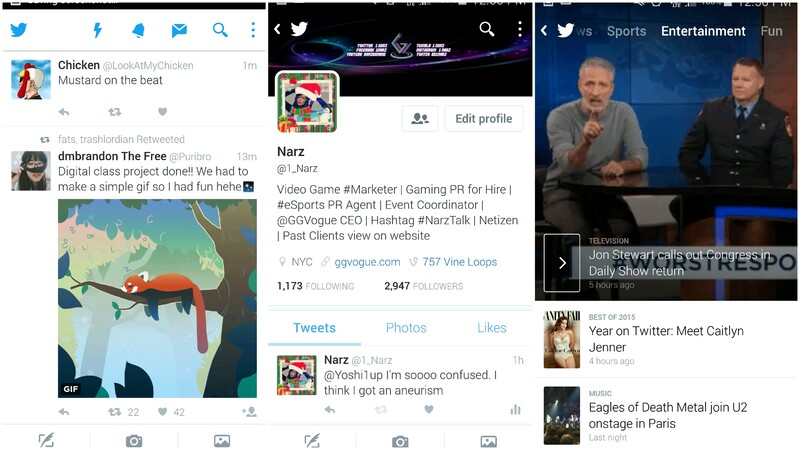 In lieu of major streaming success with Twitch, Periscope offer streaming capabilities right from your mobile devices. Granted good megapixels and internet is necessary, the direct communication to a brand or influencer is something many audiences just don’t get and appreciate when they can. Uses of periscope revolve around offering behind the scenes view of events, interviews, webinars, and Q&A. This is invaluable if your a brand that wants to sell a product. When it comes to selling your brand (aka YOU), this is a perfect opportunity for fans to talk to you directly. Periscope also offers features to block trolls from your streams permanently and blocks them from your audiences watching as well. 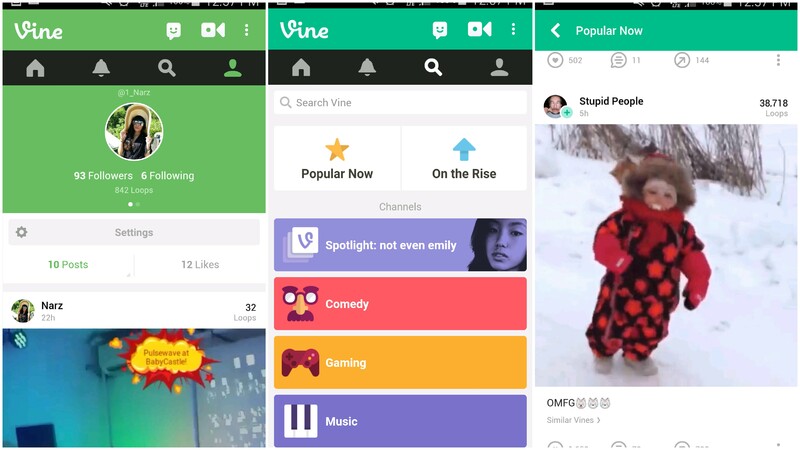 A quick prerecorded way of sharing your stuff is Vine. Think of it as a mini-YouTube platform. Each video must be about 6 secs long and offers no video editing. (You can use video editing tools like Viva Video to help with that) Vine is in interesting platform because of the short amount of time for each video. Once the video is done it restarts the video again automatically. The site records how many times it looped and values higher numbers of looped vines over lower ones. 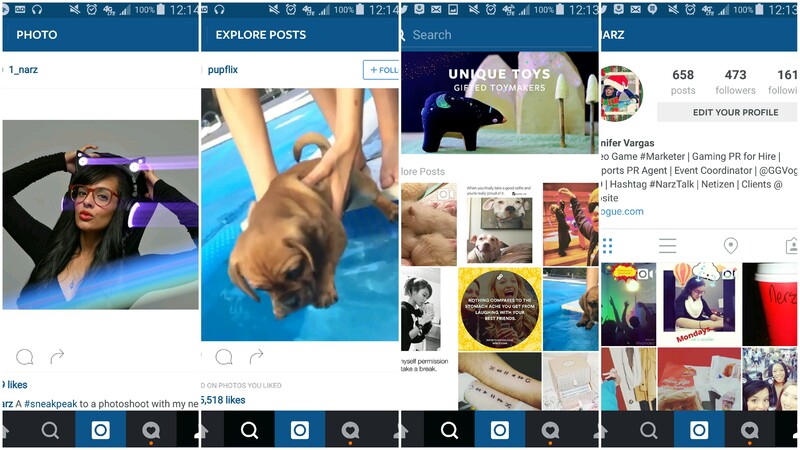 Having vines that loop well is all about how much impact your video offers in 6 secs. Are you telling a joke? Doing a skit? Or did you catch something unsuspecting on video? Experimenting with video editing and different ideas can help pinpoint what your audience will find most entertaining when checking your account out! In addition, you can re-vine friends and others on the platform sharing and building relationships. In our world, information is zooming by us fast. Videos with 6 secs have more impact than 20 mins videos, so lines of sentences have a tremendous benefit over paragraphs of info. Images can be packed full of info to render text almost useless. When tweeting, always add images, polls, links, and hashtags to build more traction with your engagement. You’ll gain views, clicks through, and followers if you sharing engaging discussions that evoke a response. As mentioned before, positivity evokes interaction. Simple tweeting”Good Morning Twitter~! Have a #HappyDay!” can stir audiences to answer back. Why? Because that is what it means to be an influencer, to get audiences to feel compelled to interact with you or your brand. Also with Vine, you can push videos straight to your Twitter audiences which cultivates your creative content much easier! Hoping this helps some of you lost in the social word, but if you have more questions feel free to drop me a tweet!